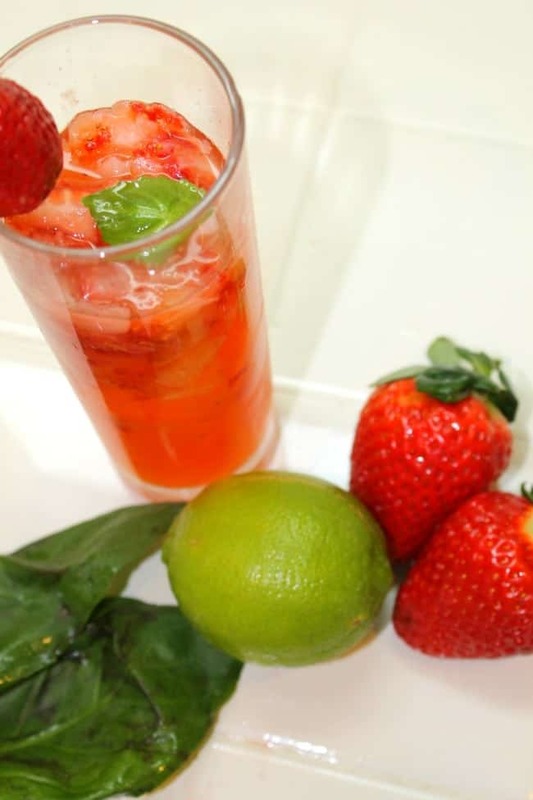 This Strawberry Basil Margarita was inspired by the need for something fun and refreshing this winter. We have had so much rain lately that I just needed a reminder that warmer days were coming. We have been packing for our big move and I just needed a little libation as a reward. 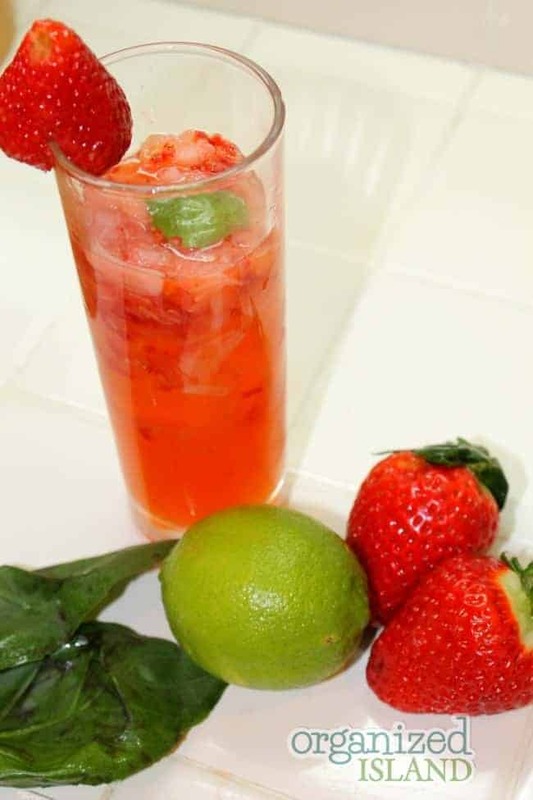 Made with fresh strawberries, basil and tequila, this is one refreshing cocktail. This colorful, delightful drink is ready. 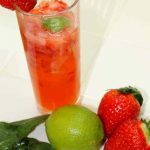 Perfect for a brunch, happy hour or gathering, you truly need no excuse to make these, but if you need one and you are surviving your winter, I say that is a good enough excuse right there to celebrate! 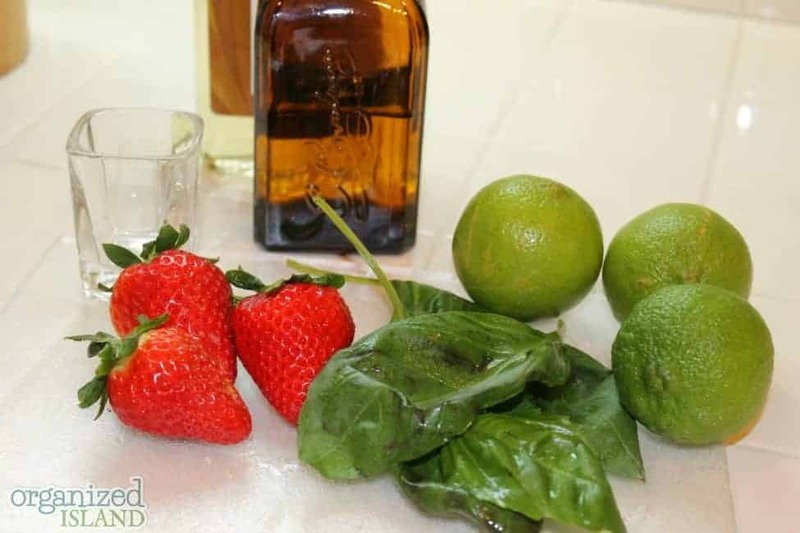 Cut strawberries in half and muddle in a martini shaker. 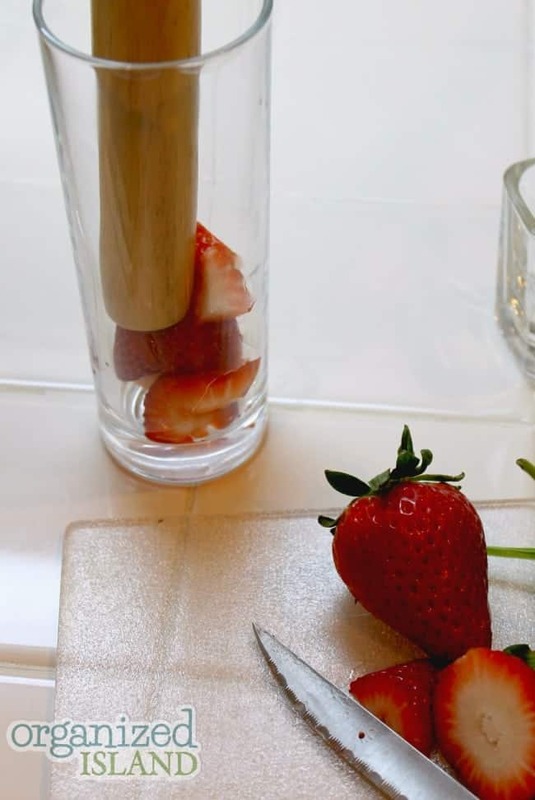 Add remaining ingredients (except the garnish) into shaker with ice and shake well. Pour ice in 2 glasses. The muddler can be used in glasses or in the shaker. If you do not have one and like fruity drinks, I would suggest this one. They are really nice to have on hand and work better than a spoon. Luckily, I had not packed my muddler yet although I did pack my margarita glasses. Luckily I had these tall highball tumbler glasses, still remaining in my cupboard. Margaritas are one of my favorite drinks and I prefer the flavored ones. This flavor combination is a new favorite. What are you celebrating this week? It was and so good too – kind of want one right now! This is a big one for Cassidy. And we have fresh basil! Not this time of year, but usually!